Posted on January 14, 2012, in fitness, personal training, workout and tagged About me, athletes, athletic performance, certifications, CSCS, fitness, morris county, NJ, personal training, random thoughts, research, strength and conditioning, Strength and Conditioning, workout. Bookmark the permalink. 3 Comments. Your Site looks great! 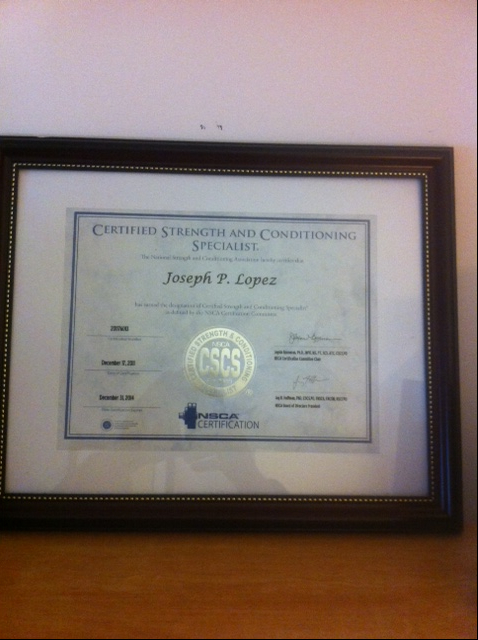 Inspired and motivated by your CSCS certiciation.